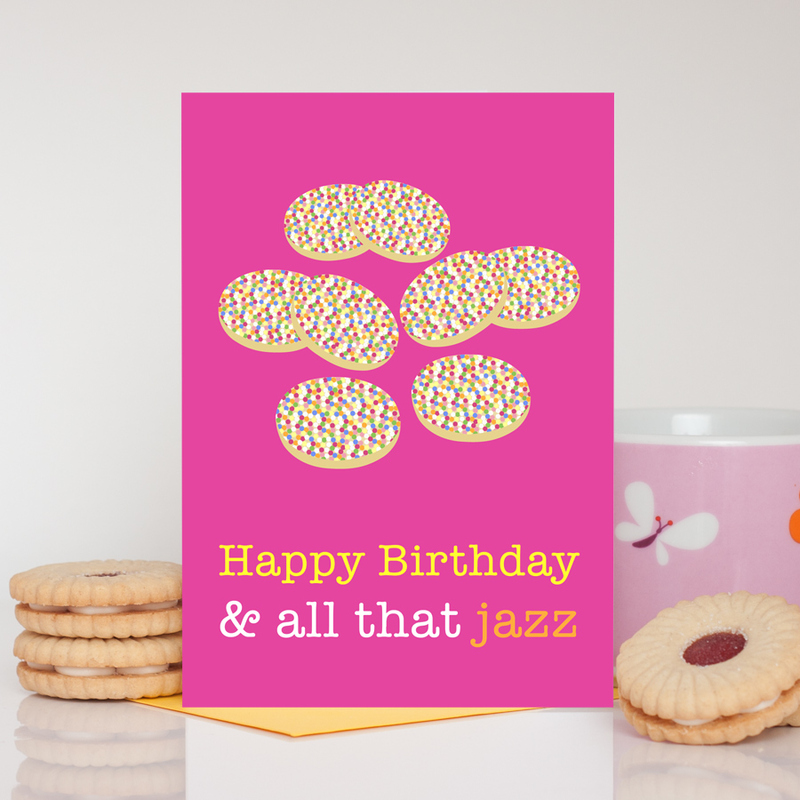 This white chocolate jazzies birthday card is just fab to send some sweet and delicious birthday wishes to someone you know. Wish them a fun and colourful birthday full of some jazz and pizzazz! The design features a scattering of tempting white chocolate jazzies, set against a brilliant shocking pink background. The text ‘Happy Birthday & all that jazz’ is printed in yellow, white and orange along the bottom. This card is available in A6 and A5 size so please select which you would like. It is blank inside for your own special message. 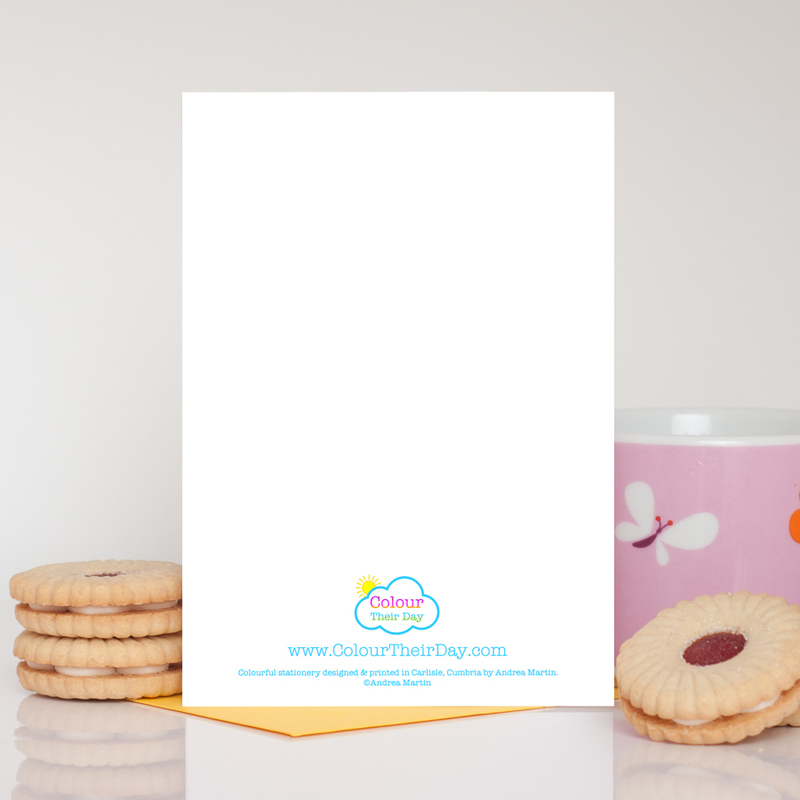 Be the first to review “White Chocolate Jazzies Birthday Card” Click here to cancel reply.